San Francisco´s most prestigious lesbian rights gala was held on May 12 at Fort Mason with valet parking, black tie and evening gowns. The dinner and dance with rope and trapeze acts was a fundraiser for the National Center for Lesbian Rights with entertainment by Montuno Groove and the Twilight Vixen Ruvue. 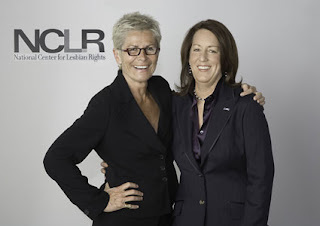 Emcee Kate Clinton awarded Martina Navratilova the Voice and Visibility Award, for demonstrating extraordinary commitment to strengthening and empowering the lesbian, gay, bisexual, and transgender community. Also honored at the gala was the gay British NBA player John Amaechi. 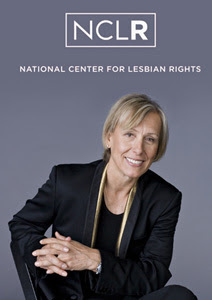 The NCLR is a national legal organization committed to advancing the civil and human rights of lesbian, gay, bisexual, and transgender people and their families through litigation, public policy advocacy, and public education.